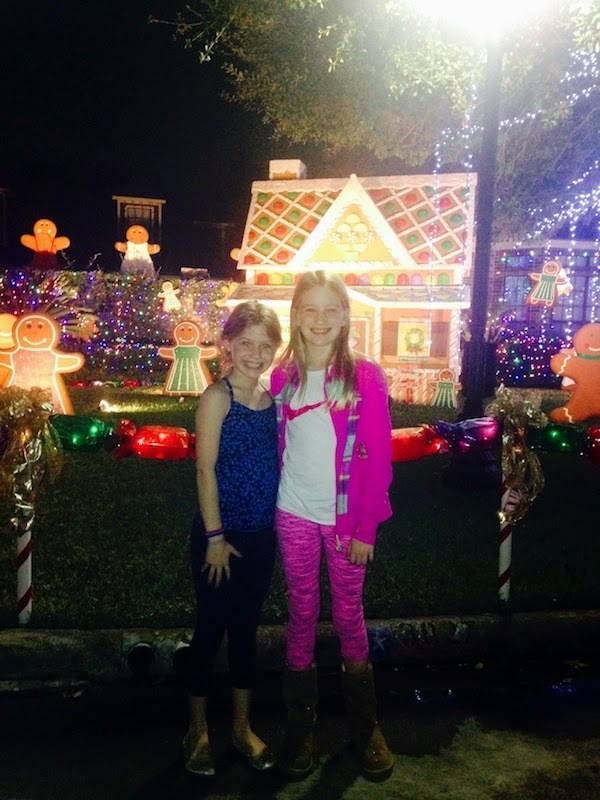 It really was beginning to look a lot like Christmas when I took my nieces, Ceci and Ana, to see neighborhood lights. The Christmas Candy Wonderland we visited was a spectacle that lifted all of our Christmas spirits; but, it's the most wonderful time of year for all the senses. The sound of a sibling prying open a tin box is as delightful as the taste of the peppermint bark lined inside; the sound of the UPS man ringing the doorbell for a last minute delivery nearly matches the excitement of feeling the warmth of the fleece you'll soon be wearing on the slopes. So, BOD's gift to its followers this Christmas season is a Sense Appeal post of the sights, smells, tastes and sounds that make this time of year the most wonderful. We've decked our door with a trimmed wreath & a wagon of poinsettias for holiday home décor. I often resort to surfing the radio when driving, so I'm always thrilled the weekend after Thanksgiving when Christmas carols start surfacing on select stations. William and I agreed we're extremely partial to the classics. While others may attempt their own renditions, nobody rocks around the Christmas tree quite like Brenda Lee or roasts chestnuts on an open fire like Nat King Cole. We'll be playing this Spotify playlist at our Christmas Eve and Day gatherings; feel free to use it for your own! One cannot visit Paris without developing an affection for scarves. Thing is, I came with one and left with an obsession. Winter weather gives me an excuse to rotate through my collection day in and day out which I've taken full advantage of like at the annual Austin Trail of Lights. One thing I know about cooking (I've got an awful lot to learn) is you almost can't go wrong when combining quality ingredients that you love. That's what I did for a snack yesterday. I dressed a warm English muffin with smashed avocado, tabuleh (from the best Austin mediterranean chefs) and pomegranate. Not only did the seeds make it taste like Christmas, but their rich red color resting on a green bed of avocado smear and tabuleh made it look like it too. May your day and night be merry & bright! 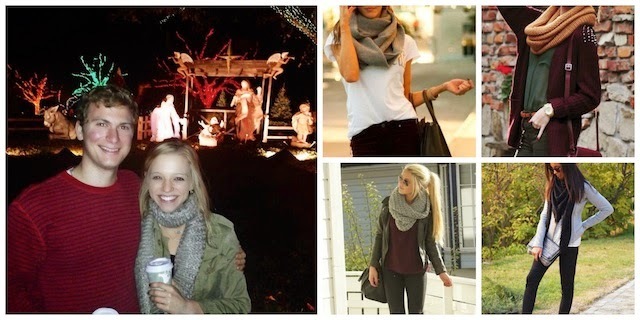 Yes, scarves! Can never have too many. Merry Christmas.